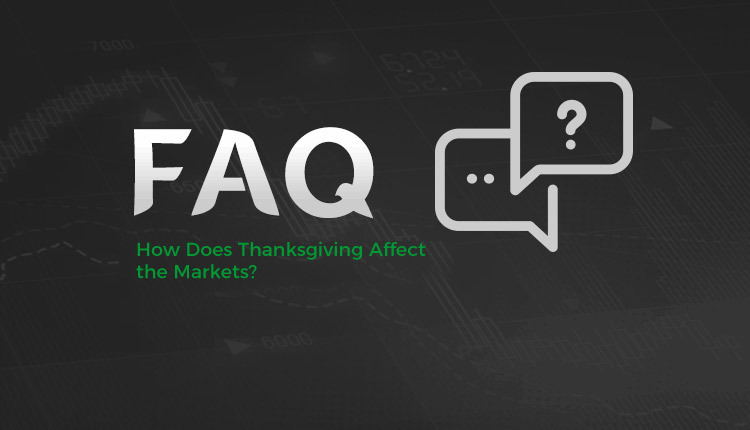 How Does Thanksgiving Affect the Markets? Thanksgiving is coming up. The famous holiday falls on the fourth Thursday of November every year. This year it takes place on the 22nd of November. While this is an important event for Americans, it can affect everyone. Major holidays in major countries often affect global financial markets even if they remain open. As we all know, the Forex market is huge and there are so many participants involved, so the market can sustainably remain open. 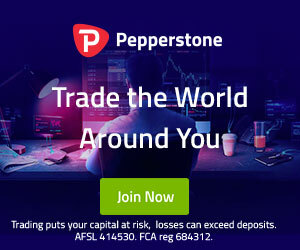 While the Forex market remains open and liquid, it can become affected during the New York trading session as banks in the US are not trading. This means the liquidity they usually create is withdrawn from the market, less liquidity means the market becomes more competitive and spreads get wider. This is something to be on the lookout for. While the Forex market does remain open and tradable with pretty much every broker, some markets are closed for the whole day or close early. If you’re planned on doing some Thanksgiving trading, it’s a good idea to be aware of what to expect. Here are some current examples of how Thanksgiving is set to affect the financial markets this time around. Energy products like Liquid Natural Gas, Brent and Crude are also set to close early on both the 22nd and 23rd of November. The trading sessions of energy products do change from broker to broker and can even vary based on products. Whereas IC Markets will use the following schedule where each energy product closes at a different time. This highlights the range of differences between providers. For the brokers who offer Equities CFD trading products on their cTrader platform, US stocks will be closed for the entire day on Thanksgiving Day and will close early on the 23rd. Most brokers will close the trading session at approximately 18:00 GMT on the 23rd, which is 1pm in New York. Both NASDAQ and NYSE close early on the Friday after Thanksgiving. While the fact that US shares close early on Thanksgiving Day makes total sense, considering the US stock market is closed. What’s confusing is that Indices trading sessions are affected, even the non-US Indices are affected. This is because Indices are tradable outside of normal stock exchange trading sessions. The reason is that they are an off-exchange product and they close early on the US holiday because the participants that would normally be trading them are busy eating turkey.